Full Disclosure: The worms seen above are not the 42,000-year-old worms that were recently discovered in real life, but rather worms that were featured in the 1993 episode of the X-Files TV show titled “Ice” that had parasitic ice worms found in Alaska that burrowed in people’s brains and controlled their violent behavior. Could the same thing happen with these real-life prehistoric worms? Maybe we really don’t want to know the answer to that question. We take you to Russia where scientists claim that worms that were found frozen in permafrost that is approximately 41,700 years have come back to life. About 300 nematodes, or roundworms, were found frozen and since been revived by scientists. Two of the roundworms have come back to life, slithering and eating like it was 39,682 BC all over again. Imagine how refreshed you’d be after a 42,000-year nap? Of the two reanimated worms, one was found at about 11-feet underground near the Alazeya River in 2015 and the other worm was found in 2002 in a fossil rodent burrow near the Kolyma River, about 100-feet underground. The Pleistocene creatures were stored at -4 degrees Fahrenheit in a laboratory then gradually warmed up to 68 degrees over several weeks where they were reanimated. DID NONE OF THESE SCIENTISTS WATCH TREMORS: A COLD DAY IN HELL?!?!? “Thus, our data demonstrate the ability of multicellular organisms to survive long-term (tens of thousands of years) cryobiosis under the conditions of natural cryoconservation,” the researchers said in a study published in Doklady Biological Sciences. So there’s hope that we could bring Ted Williams’ head back to life? There’s speculation by critics that the radiocarbon-dated samples are 40,000-years-old, but possibly the organisms are not nearly as old. The Russian scientists speculate that thawing of the soil could not happen at the depths that they were found. This is it. This is how humans are exterminated. It won’t be a nuclear war, climate change, or AI that kills us, it will be reincarnated prehistoric worms. In 2017, before future naval officers trained on submarines in the waters around Kauai — a place called the Pacific Missile Range Facility — the U.S. Navy hired marine researchers from the Cascadia Research Collective to study the native animals in these seas. After encountering a large pod of melon-headed whales, the researchers tagged two of them, to see where they might go. It was then that the researchers noticed something curious about one of the creatures. It wasn’t quite a melon-headed whale. Nor was it exactly a rough-toothed dolphin, which are common to the area. They collected some tissue from the animal, and after returning to shore and performing genetic testing, discovered it wasn’t either species, but both. Melon-headed whales swimming in tropical waters (not hybrids). The hybrid was especially rare because of its melon-headed genes: The toothed-whales are rarely seen in these Hawaiian waters, the researchers wrote. Both species belong to the Delphinidae (oceanic dolphin) family, but the report notes that cross-species unions between them are unusual: It’s only the third recorded example in the Delphinidae family, and the first between these two species. The hybrid, however strange, certainly wasn’t treated as an outcast. The marine scientists tagged the hybrid with satellite tracking GPS, along with a companion, to see where they might go. And it appears they stayed together, travelling some 475 miles over eight days, and diving thousands of feet beneath the surface. Drake’s “In My Feelings” joint has been a ginormous hit song, not just for the music, but also for the viral dance challenge that is associated with the track. Instagram star “The Shiggy Show” ignited the sensation by adding a simple dance to go along with the song and it has blown up. The dance was taken to new heights by Will Smith and the challenges have taken a different turn as of late by adding cars to the dance. 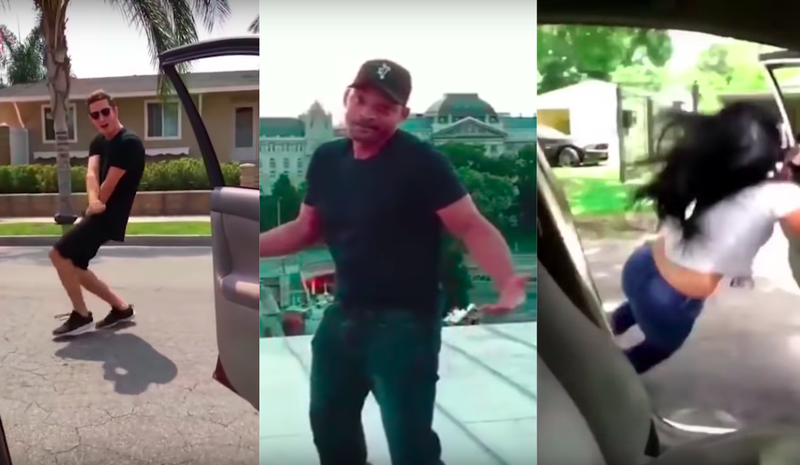 The #InMyFeelingsChallenge has evolved into dancing whilst ghost-riding the whip. People get out of their vehicle while it is still rolling and they do the Shiggy. People are attempting the #KekeChallenge, but some people are getting hurt by doing the stunt. Enough people have gotten hurt that the government has had to issue a warning to not attempt the Keke Challenge. A stern warning from the NTSB probably isn’t going to deter anyone from continuing from carrying out the #KekeChallenge. However, posting fail videos of people mauled while doing the “In My Feelings” Challenge might discourage a few people from attempting the viral dare. So for the sole reason of trying to dissuade people from injuring themselves and totally not to mock people playing stupid games and winning stupid prizes, here are some #KekeChallenge fail videos that ended horribly. This is the only Keke Challenge video that you need to watch. At some point, the challenge most commonly began to include people slowing their cars to a crawl, and then encouraging their friends to hop out and dance alongside the vehicle. Things took a turn for the worst when people started upping the ante, as always happens with internet challenges like these. People started doing the dance after hopping out of the driver’s seat, and simply letting the car roll. It’s easy to imagine how this can go really wrong really fast. As a result of the challenge, there are now many videos of people falling on pavement, causing car accidents, and getting hit by oncoming vehicles on YouTube. 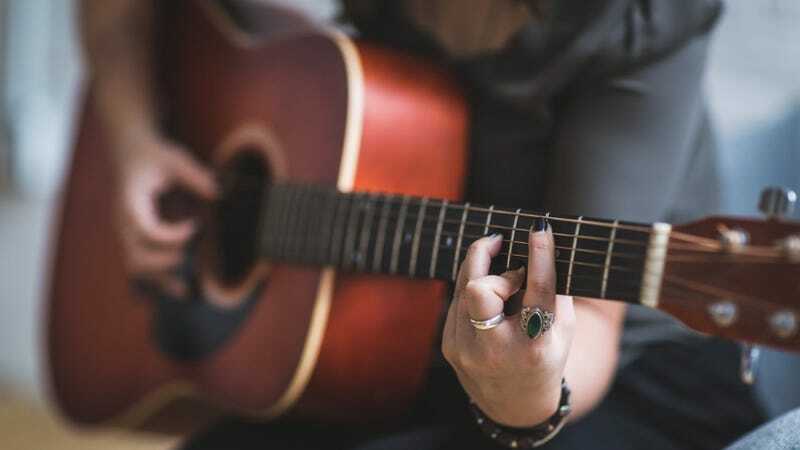 Connecticut State Police called the practice "distracted driving" and said it could lead to a reckless endangerment charge if a driver is caught in the act, according to FOX21.